The first step for any small business looking to get on the web is to have its own website, a destination where it can showcase its products/services and share relevant company information with its customers. CruxBytes Digital promises to collaborate with you to develop a goal centric website that maximizes your business objectives. Our 'website with a purpose' methodology is a common sense approach to web design. Not just a website, but pages specific to your marketing projects. Customized landing pages are required from a project to project basis. It is important that the user comes to a page and finds a value proposition that is similar in nature to the advertising he has reacted to. Also, customized landing pages make it easier to track campaign performance and determine ROI. We have a formula based [ C = 4M + 3V + 2(I-F) – 2A ] approach to designing and developing landing pages. Here, C stands for Conversion, M is Motivation, V is Value Proposition, I is Incentive, F stands for Friction, and A means Anxiety. Using this theory, we make sure that maximum users convert and provide us their valuable details. 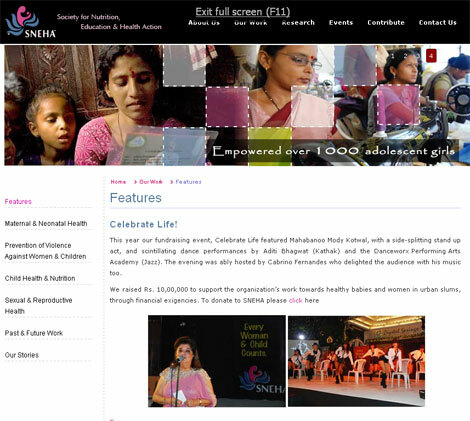 Our expertise in web design and development. Learn more about our 'Website with a purpose' methodology. Creating and managing your business presence on other web destinations. Location matters. Being close to where your customer is matters all the more. Today, Facebook is the most visited site in India. People make business enquiries and seek advice to their problems on LinkedIn. It is very important to be actively present on these heavily trafficked web destinations and interact with your audience. We help you choose web destinations that make the most business sense. Presence on Social Media properties like LinkedIn, Flickr and YouTube will help your business engage with customers on a frequent basis. Moreover, search engines provide a higher rank for social media properties. Being present on social media gives us brand recognition & search engine visibility. Not just choose the right channel, CruxBytes Digital will go all the way to partner with your business and generate engaging content relevant to your audience on these web destinations. Learn more about social media and consumer engagement. Web based software systems that help you make smart decisions. Creating software products and installing them on each and every of your business owned computers is so last month. The software world has moved on to a much more ‘web centric / web based’ model. All your productivity tools have moved online, saving you precious investment monies that were once used to buy expensive hardware and maintain your systems. CruxBytes Digital will develop smart web based tools for your business. Data related to your business such as enquiries received on a particular date or number of customers that have been contacted by your sales team will be instantly available from any location – your home, office or while you are traveling. Our rich experience in software development will help you achieve web awesomeness and good karma! Above: A snapshot of our intelligent Enquiry Management System, a useful web based software for your sales and marketing teams. Learn more about cloud computing, customer relationship management [CRM] and web based software for small businesses. 74% of the consumers conduct research online before buying a product or a service. Most of these consumers use Google , Yahoo or Bing. Search Engine Optimization (SEO) is the process of optimizing your website to make sure that it ranks higher on search engines. For e.g. when auser is searching for ‘buy property in ooty’ (keywords) your website should be ranked higherthan other websites such that consumers who are actively looking for information find yourbusiness. Making it easy for consumers to find your business is the first step in attractingpotential customers. We will help you determine the keywords relevant to your business and progressively enable your business website to reach the first page on search engine rankings. Learn more about Google, Search Engine Marketing and SEO. Email marketing is used at three stages of consumer lifecycle management – One is to acquire new customers, second is to nurture leads and third is to keep customers periodically updated with relevant information. Email is an important component of CRM (nurture leads) which involves email design (content and aesthetics) and email development (coding emails to a format that can be sent to multiple consumers to collect information). Cruxbytes will develop email templates and compile the necessary content required to reach out to consumers at different stages of communication. We will also code all emails and send those via publishers to the right audience. 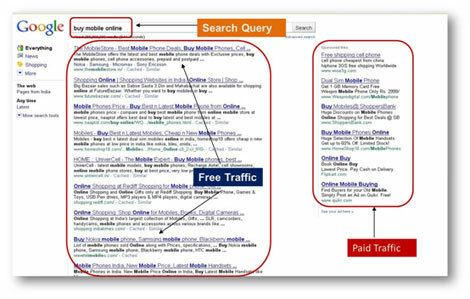 Analysing traffic to your sites helps you close the marketing loop. All ROI-driven marketing campaigns use Web & Social Analytics to determine levels of engagement, direct response and branding. Rich data helps us to quantify our investments and make the necessary tweaks to our communication. 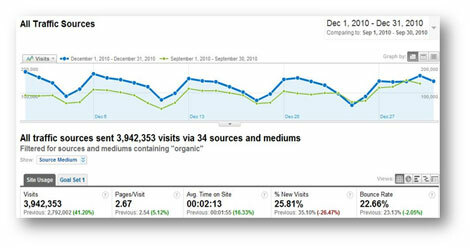 We use Google Analytics and inbuilt social analytics tools to provide rich trends related to your marketing campaigns. Daily and weekly reports will be scheduled. A comprehensive monthly report with actionable insights will be presented with suggested course correction (if any) and performance improvement strategies. Educate and train your business to keep pace with the online world.